Our children enjoy seperate group rooms where they can play and explore alongside their peers whilst our team ensure that activities are planned for every individual child. To enhance nursery life there are also lots of opportunities to spend time with children in different groups. Siblings often enjoy visiting one another throughout the day. 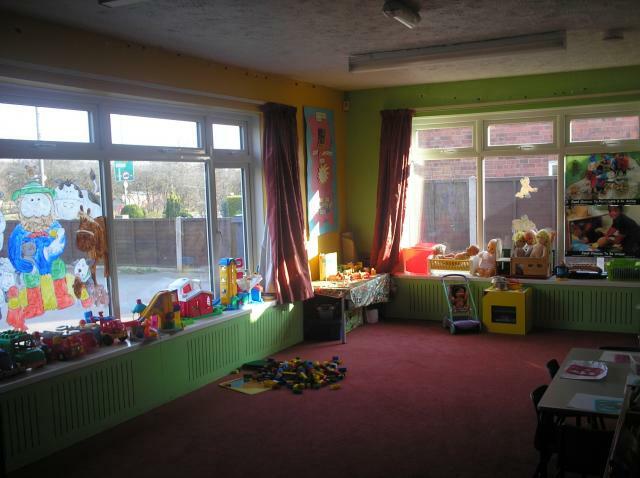 Pre school room, 3 years to school age group. Our enclosed garden gives the children lots of opportunities to be outside in all weathers. In the summer we use shelters to protect us from the sun whilst in the winter our secret garden and outside classroom provide shelter when needed.